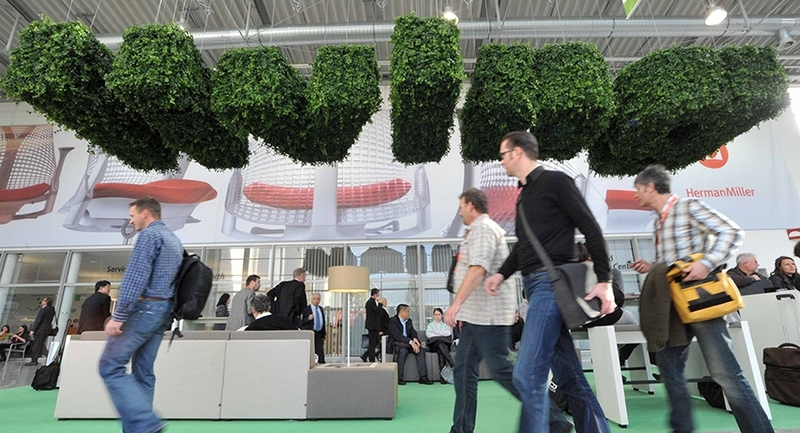 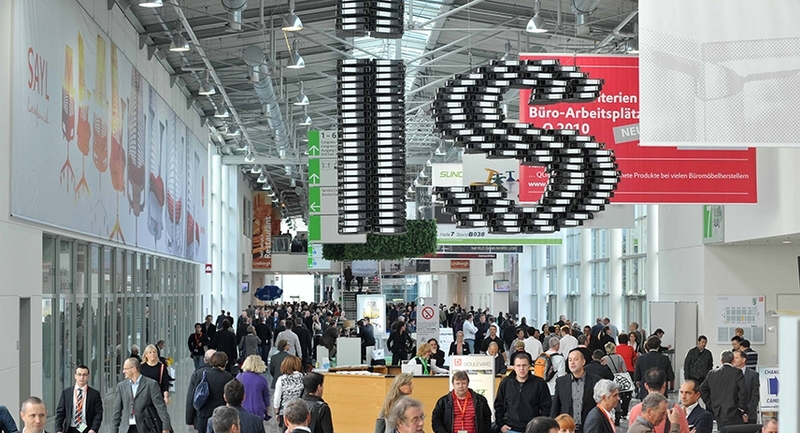 Huge installations for Koelnmesse at the Orgatec 2010. 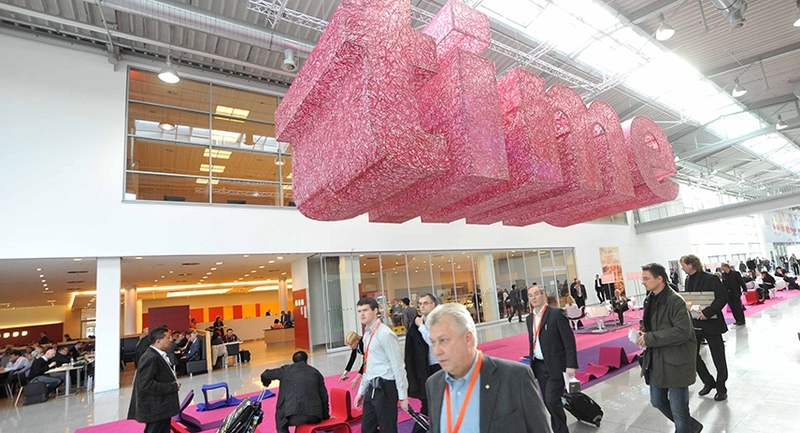 An amazing project with daring materials and a stunning wow-feature for the fair. 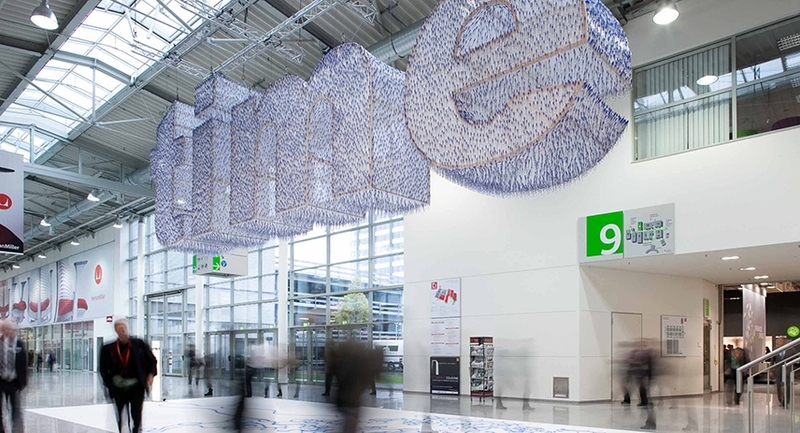 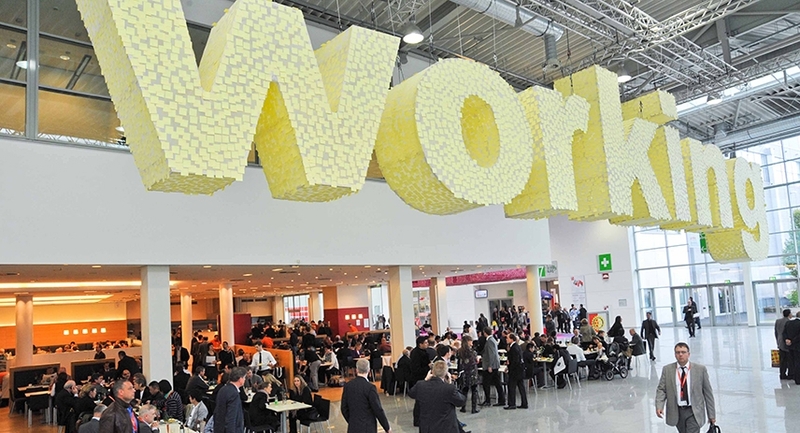 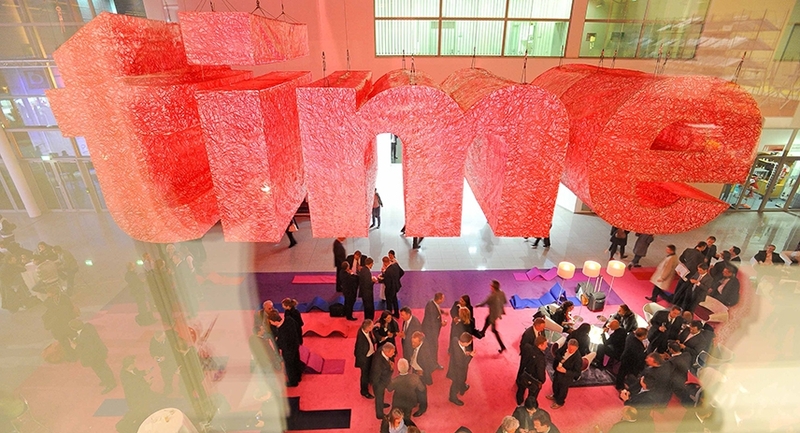 The five installations – gigantic words – formed the sentence WORKING TIME IS LIVING TIME, the claim of the 2010 Orgatec. 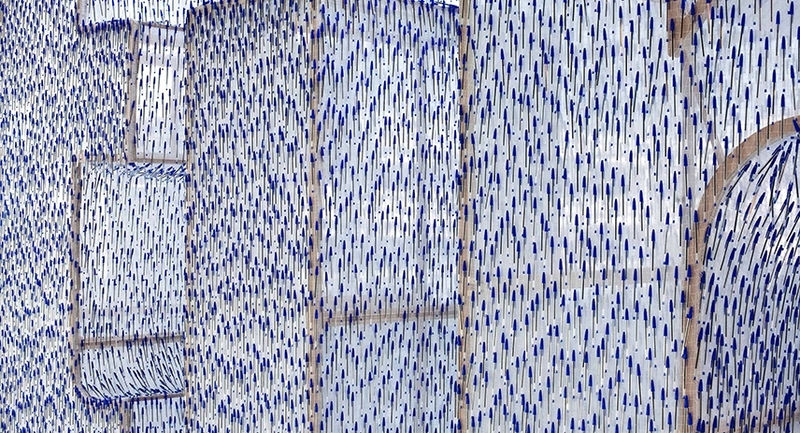 Each word materialized in a different way, expressing the word character. 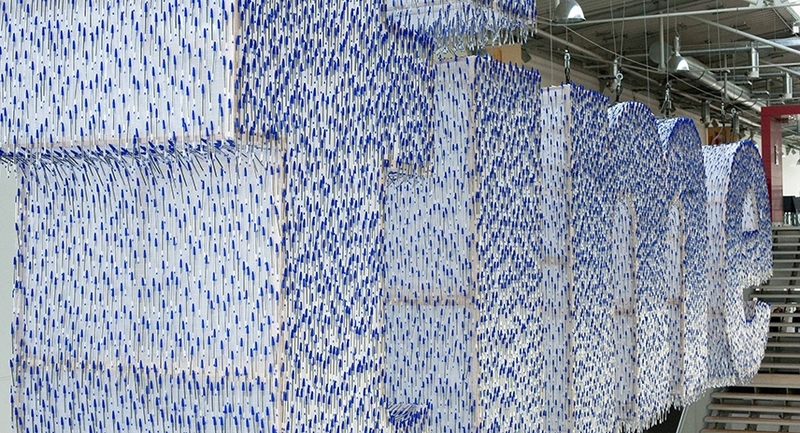 Tens of thousands of pens, post-its, ordners. 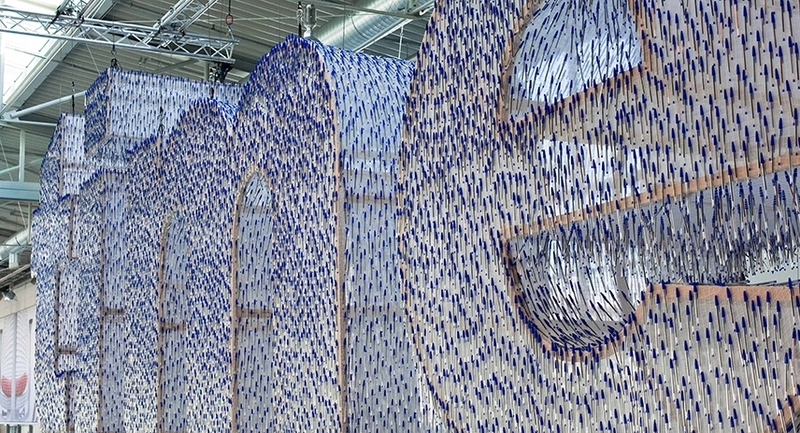 From the first drafts, the go ahead by the client, through the extensive development and testing down to the assembling and enormous hand-mounting job - the whole project took a lot of heart and courage by all parties involved. 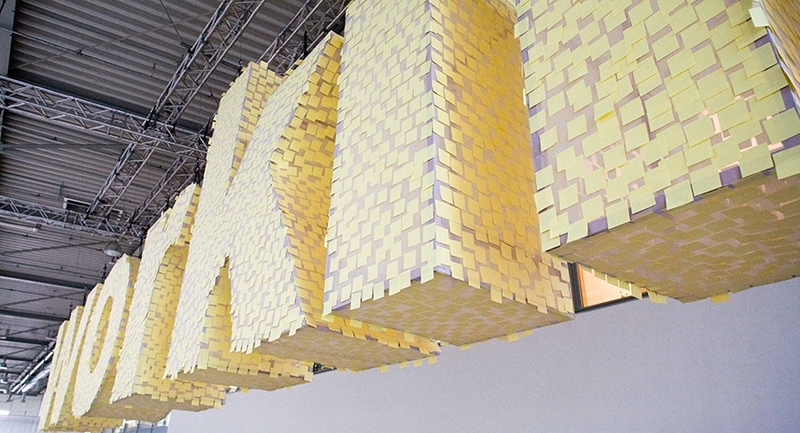 Pushing the boundaries in communication design.